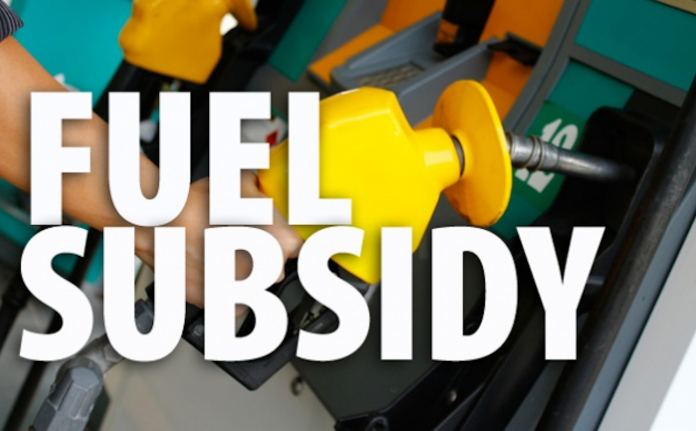 The federal government and oil marketers are again at each other’s throats over unpaid monies for subsidy on petrol supplied to the country by the marketers. This is however happening as Nigerians prepare for a lengthy end of year celebration. 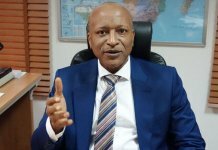 Oil marketers under the aegis of Depot and Petroleum Products Marketers Association of Nigeria (DAPPMAN) recently showed their willingness to shut down operations, and deny Nigerians sufficient supply of petroleum products, especially petrol, because the federal government owed them huge sums of money. In their warning note to the country, they asked their members to shut down all depots in the country to protest the government’s failure to pay them outstanding subsidy claims they said was up to N800 billion. DAPPMAN’s Executive Secretary, Mr. Olufemi Adewole, had in a statement he sent out, denied his association signed an agreement with the government that the debt would be cleared. He also stated they would go ahead with their planned seven-day warning strike to press home their demand. “Premised on our inability to pay December salaries and to avoid owing staff for work done without any hope of pay, it is hereby agreed, since our staff have been disengaged, all DAPPMAN member depots are not in a position to operate hence will shut down all loading operations at midnight, Sunday, December 9, 2018 until the federal government pays our calculated claims. “This decision is binding on all members of the association and full compliance is expected from every member company of the association. 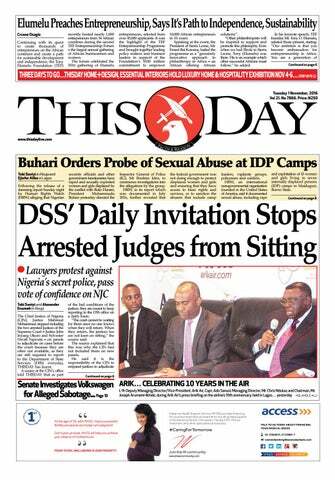 The association shall revert in the same vein with any other directives as might be deemed necessary,” said Adewole, in the statement. Clarifying the position of the association on the development, or rather its choice of a strike, he stated that it took the bold step to stop the financial haemorrhage of its members, which arose from the federal government’s failure to pay its members’ outstanding subsidy claims. 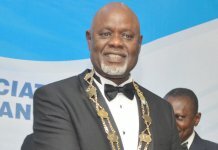 According to him, “As you are aware, the association reviewed the suspension of the ultimatum given to the federal government on December 25, 2017, which was suspended due to the intervention of well-meaning Nigerians and the federal government’s promise to immediately pay marketers the outstanding subsidy-induced debts. He thus noted that the strike was more of the last option for the marketers to get the government to pay them. But, at that, the government and indeed Nigerians considered the timing of the strike rather dishonest and deliberately planned to disrupt citizens’ end of year celebrations. Because Nigeria imports most of the petrol used to run her domestic economy, it thus relies on oil marketers to do the importation, sell at government-fixed pump price per litre and then pay off the differential in the market and government rates. This practice had become traditional in the country’s downstream petroleum sector, and in the recent past, government accumulated a lot of debts, subsidising the imported petrol so citizens can enjoy cheap petrol at its regulated pump price. But it also came with heavy financial debts to the oil marketers, who participated in the importation, but reportedly didn’t get paid the differences, hence, the accumulated debt. 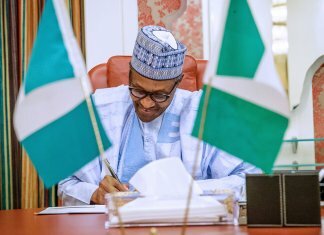 Notwithstanding, President Muhammadu Buhari in March wrote to the National Assembly to approve for the government to issue promissory notes to offset the inherited local debts to the marketers, and the Senate eventually resolved to set up an ad-hoc committee to look into the promissory note and bond issuance programme. The committee was also to appropriately advise the larger Senate on the promissory note and bond issuance programme. Presenting the report of the committee months after, Senator Kabir Marafa (APC, Zamfara Central), who headed the committee, explained that the continuous delay of the approval of the promissory note request could affect the liquidity status of the marketers, as well as undermine their crucial role in the development of the country’s economy. Marafa stated that the OMCs made claims worth N670, 497, 543, 15, as of June 30, 2017, but the Petroleum Products Pricing Regulatory Agency (PPPRA) verified and approved N429, 054,203,228 to the Ministry of Finance. He also said that while the verified figures were subsequently approved by the Federal Executive Council (FEC) at one of its meetings, further verification by the Presidential Initiative on Continuous Audit (PICA) however slashed the amount to N407,255,263,288. According to Morafa, the controversies around the development included the determination of the terminal date of the subsidy programme; amount to be paid to the oil marketing companies (OMCs) and the interest accrued from June 30, 2017. All of these, he, however, noted would be taken up and resolved when the final report of the committee gets laid to the Senate. He added that further verification needed to be made to ascertain the discrepancies between the OMCs and the recommendations for payment made by the PICA. Supporting the need to be swift in determining the situation, Morafa reportedly said that it was perhaps the surest way to guarantee security of petrol supplies in Nigeria, in that, payment of the debt would assure there are no scarcity of petrol in the country. “In this respect, the committee is of the opinion that interim payments should be effected to the OMCs pending full verification of PICA recommendations and updating on the full implication of interest accruals from 30th June 2017 to date,” he said then. “However, in view of the fact that the service of the OMCs is very important to the economic development of the country and closely tied to national security, paying the marketers would stem the threat of fuel scarcity, increase economic activities and promote a more harmonious working relationship between the government and OMCs,” the senator also noted. Further, the Senate directed the committee to continue its engagement with the finance ministry, OMCs, PPPRA and other stakeholders, until the issues were resolved. 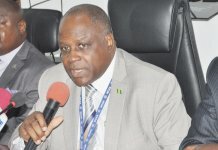 Following the marketers’ threats and its implications, the government then moved to arrest the situation, and in a telephone interview with THISDAY, the Special Adviser on Media to the Minister of Finance, Mr. Paul Abechi, said the relevant agencies of the government met with oil marketers last week to resolve the subsidy payment controversy. Abechi added that it was unfortunate for any group to claim there was no such move to settle the controversy, and claimed people had begun to exploit the political season to advance their interests. He equally insisted that to further show government’s commitment to defray the subsidy arrears, it offered to pay the first tranche of N236 billion through a promissory note from the Debt Management Office (DMO) to the marketers last Friday. On its part, the Nigerian National Petroleum Corporation (NNPC) chose to describe the action of the marketers as economic sabotage. The Managing Director of the Pipeline and Products Marketing Company (PPMC) – a subsidiary of NNPC, Mr. Umar Ajiya, stated after a meeting in Abuja between the officials of the NNPC and the oil marketers, as well as some members of the industrial unions in the oil sector, that the government would not tolerate any attempt by any individual or group to disrupt the distribution of petroleum products during the Yuletide. “All IPMAN and major marketers, as well as all NNPC Retail sites would continue to work throughout the period, 24 hours and seven days in a week. In addition to that, there is a commitment from the NNPC, the majors and the unions to ensure that all their workers participate in the distribution of petroleum products throughout this festive period. “Therefore, a repeat of the 2017 situation is what we are prepared to avert because government, this time around, would not tolerate from anybody, whether single or group, the issue of petroleum products scarcity, as it happened last year, because that would be termed as economic sabotage,” said Ajiya. He said: “PENGASSAN, as one of the major stakeholders in the oil and gas industry, we are concerned. We are also looking at it that the year is coming to an end; they are also talking about 2019 politics and elections. We do not want to do anything to overheat the polity and make Nigerians go through a lot of stress. Although, the marketers have temporarily shelved their planned strike to accommodate the government’s payment schedule, the fear for scarcity of petrol during the Yuletide still lurks around, and this is despite NNPC’s assurance of more than 50 days of supply availability. Industry players however told THISDAY that if the government fails to abide by its payment schedule, there may be another round of petrol scarcity across the country. They noted that even though the marketers do not import petrol into the country at the moment, they run most of the depots used for loading and distribution of petrol across the country, and that when they don’t operate, the NNPC which now imports all the petrol used in the country would find it difficult to distribute petrol to end users. These experts noted that while the government has said it would begin payment, the scenario looked a bit nervous especially on the back of what would likely play out in the country if oil marketers shut down operations. According to them, social functions and ceremonies such as weddings which are usually scheduled for the year end, as well as other year-end economic activities would be affected. They indicated the loss on Nigeria from the strike would be substantial.